SAINT JOHN, N.B. 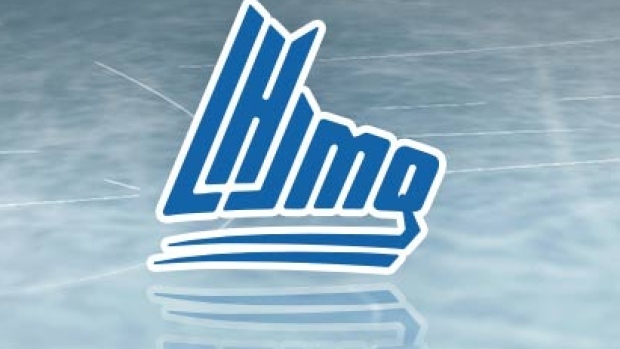 — Robbie Burt scored the winner at 4:46 of overtime as the Saint John Sea Dogs beat the Quebec Remparts 4-3 on Wednesday in Quebec Major Junior Hockey League action. Mikhail Denisov made 44 saves and picked up an assist on Burt's winner to help the Sea Dogs win for the second time in three games since Saint John halted a 17-game losing streak on Nov. 30 against Val-d'Or. Charlie DesRoches, Maxim Cajkovic and Jeremie Poirier also scored for the Sea Dogs (4-22-3). Mikael Robidoux, Philipp Kurashev and Matthew Grouchy found the back of the net for the Remparts (13-11-6), who are 3-0-3 in their last six outings. Anthony Morrone stopped 19-of-23 shots in a losing cause. Saint John went 0 for 1 on the power play while Quebec was 2 for 4 with the man advantage. MONCTON, N.B. — Mitchell Balmas set up two goals before breaking a 4-4 tie at 11:22 of the third with one of his own as Cape Breton edged the Wildcats. Mathias Laferriere and Ryan Francis had a pair of goals each to round out the offence for the Screaming Eagles (17-11-2), who are 7-0-1 in their last eight. Kevin Mandolese made 24 saves for the win. Brady Pataki, Adam Capannelli, Alexander Khovanov and Mika Cyr scored for Moncton (21-8-2). Charles-Antoine Lavallee turned away 18 shots in a losing effort. VICTORIAVILLE, Que. — Simon Lafrance scored twice as the Tigres doubled up Gatineau to avoid their fourth straight loss. Dominic Cormier and Feliks Morozov also scored for Victoriaville (12-14-3) as Fabio Iacobo stopped 27 shots for the victory. Metis Roelens and Jeffrey Durocher replied for the Olympiques (10-16-3), who are on a six-game slide. Creed Jones made 27 saves in defeat. DRUMMONDVILLE, Que. — Alexis Lafreniere had a goal and two assists as Rimouski put an end to the Voltigeurs' six-game winning streak. Dmitry Zavgorodniy, Jimmy Huntington and Charle-Edouard D'Astous also scored for the Oceanic (17-10-2), who got 32 saves from Colten Ellis. Dawson Mercer and Joseph Veleno scored for Drummondville (20-7-1). Olivier Rodrigue turned away 26 shots in a losing cause. VAL-D'OR, Que. — Alex-Olivier Voyer scored twice and Samuel Poulin had a goal and two helpers as Sherbrooke handed the Foreurs their fourth loss in a row. Julien Anctil also scored while Thommy Monette made 27 saves for the Phoenix (17-10-2). Emile Lauzon kept Val-d'Or (10-16-4) from being blanked. Mathieu Marquis kicked out 39 shots in defeat.